Audrey Hepburn plays Holly Golightly, the craziest heroine who ever crept between the pages of a best-selling novel! Blake Edwards's adaptation of Truman Capote's classic novella is ideally cast with Audrey Hepburn in the role of Holly Golightly. The free-spirited gamine darts about New York, feted by wealthy men drawn to her megawatt charm and elegance, hoping that the party will never end. After "shopping" in front of Tiffany's window, she meets aspiring writer Paul Varjak (George Peppard), and they begin a platonic friendship. "Sponsored" by an older woman (Patricia Neal) whose interest in the young man is more than literary, he can identify with her experience better than most, taking it upon himself to protect her from the worst aspects of city life. But she seems to need little protection from such friends as incarcerated mob boss Sally Tomato (Alan Reed), who pays her to carry messages to Sing Sing. With her infectious joi de vivre, she helps Paul break through a paralyzing case of writer's block. But when the genial Doc Golightly (Buddy Ebsen) appears in New York in search of Holly, the sources of her gossamer lifestyle suddenly become clearer. 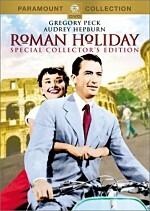 Edwards's lighter-than-air romantic comedy, set in a fantasy New York, rides on the irresistible charm of Hepburn at her peak, as well as a memorable score by Henry Mancini. Does it brand me as some sort of heathen if I indicate that Audrey Hepburn doesn’t dazzle me? Like Marilyn Monroe, I find Hepburn to be attractive and talented, but I’ve never quite understood her legendary status. Still, hope springs eternal, so I thought I’d give Hepburn a look in arguably her most famous role: Holly Golightly in 1961’s Breakfast at Tiffany’s. Holly lives the life of a popular Manhattan socialite. 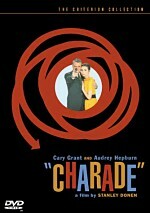 When Paul Varjak (George Peppard) moves into the building, the pair become friends and develop a semi-romantic interest. Holly redubs Paul “Fred” because he reminds her of her brother, and we learn that he’s a writer with only one five-year-old book to his credit. “Fred” also lives at the beck and call of wealthy older woman Mrs. Failenson (Patricia Neal). While Holly and “Fred” get to know each other, we learn complications. Holly’s past comes back to haunt her, and her interactions with “Fred” deepen. This leads to a number of conflicts and issues. Earlier I mentioned that I don’t really understand the Audrey Hepburn cult. This shouldn’t indicate that I don’t think she does good work; I just always found her to be overrated. I must say that I think she’s badly miscast here, though. Elsewhere on this DVD, we hear that Marilyn Monroe was considered for the role of Holly. While I do also find Marilyn to be overrated, I think she would have been much more appropriate for this part. I could easily see Marilyn as a flighty socialite who uses men for money. To put Hepburn in this role seems like a stretch to me, especially when we’re asked to buy the regal Audrey as a native Texan. The movie attempts to explain how she lost the accent, but it’s too much for me to swallow. In Hepburn’s hands, she actually makes Holly a surprisingly unlikable character – at least at first. She warms up the part as the movie progresses, but initially she comes across as annoying self-involved and eccentric. Although Holly turns more engaging as the flick moves, I still found it tough to get past my initial impression. That distance led me to remain outside the story. Some bizarre casting doesn’t help. Who in their right mind thought it was a good idea to have Mickey Rooney play an absurdly stereotypical Japanese character? Not only does this broad comic role feel like it comes from a different movie, but also it’s frightfully offensive. Sure, Breakfast came out in a different era, but it seems tough to think that this strange choice was much less objectionable back then. Oddly, in the audio commentary, producer Richard Shepherd states that he regrets they didn’t cast an Asian actor in the part. Dude, that’s not the problem. In fact, this grotesque stereotype might be even more offensive when played by an actual Asian. Whatever the case, it’s a horrible choice that does serious harm to the movie – it’s very tough to get past this character. Director Blake Edwards never quite settles on a tone for the movie. Is it a romantic comedy, a personal drama or a nutty farce? Edwards intersperses elements of all three throughout the flick, but they never coalesce into a tight product. The film shifts gears abruptly and awkwardly. Frankly, I can’t see why Breakfast at Tiffany’s ever turned into a classic. The movie offers strange casting choices, a thin story and an erratic tone. None of this makes it very involving or entertaining. 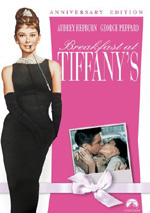 Breakfast at Tiffany’s appears in an aspect ratio of approximately 1.85:1 on this single-sided, double-layered DVD; the image has been enhanced for 16X9 televisions. I thought Breakfast presented a consistently decent picture. Sharpness was pretty positive. Occasionally I found some minor softness in wider shots, but those instances occurred infrequently. Most of the movie looked well-defined and nicely delineated. I noticed no jagged edges or shimmering, and only a little light edge enhancement appeared. Print flaws stayed modest. The movie could be a bit grainy, and I also detected a few specks and marks. Colors could be a bit pale, but they usually seemed good. Much of the movie featured clean, concise hues, though a certain gray tone made them a little flat. Blacks were dark and tight, while shadows seemed smooth and accurate. Although the transfer didn’t excel, it was very satisfying. Often I don’t care for remixed multichannel soundtracks, but I rather liked the Dolby Digital 5.1 audio of Breakfast at Tiffany’s. The mix took the original mono – also on the DVD – and opened it up nicely. Music dominated the track, as the score presented effective stereo imaging. We also got decent expansion of environmental elements. These never played a strong role in the movie, but they added a little life. Some minor panning occurred and the audio meshed together well. The surrounds contributed modest reinforcement but didn’t have much to do. Given the scope of the film, though, this wasn’t a problem. Audio sounded surprisingly good. Speech was a smidgen thin but usually seemed crisp and distinctive. No issues with intelligibility or edginess occurred. Music was smooth and rich. The score appeared lively throughout the film and showed nice range. Again, effects were a minor aspect of the track, but they appeared clean and concise. I liked the 5.1 remix of Breakfast and thought it acted as a good option. While the prior Breakfast DVD came with virtually no extras, this “Anniversary Edition” added quite a few pieces. We start with an audio commentary from producer Richard Shepherd. He provides a running, screen-specific affair. Shepherd touches on casting and performances, the choice of director, sets and locations, costumes, changes from the book, the music, and a mix of general production notes. At best, Shepherd offers a mediocre discussion. His comments provide minor insights but don’t dig into the film with any great depth or gusto. Dead air crops up frequently, and the whole thing moves at a laggardly pace. Shepherd sounds like a nice guy and he does reveal some decent details, but I think we’d be better off hearing from him in a short interview rather than a nearly two-hour commentary. We follow the commentary with a short documentary titled The Making of a Classic. The 16-minute and 13-second program mixes archival materials, movie shots, and interviews. We hear from Shepherd, director Blake Edwards, extras Fay McKenzie and Miriam Nelson, Audrey Hepburn’s companion Robert Wolders, Hepburn’s son Sean Ferrer, casting director Marvin Paige, and actor Patricia Neal. We learn about the movie’s progress from novella to movie, cast and characters, shooting the big party scene, Hepburn and “Moon River”, and the specifics of a few other sequences. Despite the program’s title, it doesn’t act as a particularly strong overall glimpse at the production. A lot of the time it just talks about the greatness that was Audrey, and plenty of other gushy material appears. We get the usual dissent about the casting of Mickey Rooney, but otherwise this show is an appreciation of the film. That makes it gooey, but it does toss in a reasonable amount of information about the flick. Just expect a lot of sugar with that. Next comes an eight-minute and 15-second featurette called It’s So Audrey: A Style Icon. This includes notes from Wolders, Shepherd, Ferrer, Audrey Style author Pamela Keogh, designer Cynthia Rowley and Elle Magazine beauty director Emily Dougherty. They discuss Hepburn’s on-screen style and her impact on fashion. Again, this means many remarks about her greatness and beauty. I’d prefer more substance about her image and less frothiness. During the six-minute and four-second Brilliance in a Blue Box, we hear from Tiffany & Co. design director John Loring and jewelry historian Janet Zapata. They discuss the history of Tiffany’s and various aspects of the business. Part information, part commercial, this program only sporadically illuminates as the advertising side dominates. This is another missed opportunity, as it could have offered a more substantial examination of the company. Finally, Audrey’s Letter to Tiffany runs two minutes, 29 seconds. Loring reads a preface Hepburn wrote for a book that commemorated the 150th anniversary of Tiffany’s. It’s moderately interesting at best. In addition to the movie’s trailer, the DVD opens with some promos. We get ads for Elizabethtown and Titanic. These also appear in the disc’s Previews area. I knew Breakfast at Tiffany’s would be tough to take in its first five minutes when I saw Mickey Rooney as a terrible Japanese caricature. Things didn’t improve a lot from there during this too long, too awkward and too disjointed film. The DVD offers good picture and audio plus some mediocre extras. Fans will probably feel satisfied with this fairly good DVD, but I can’t say the movie does anything positive for me.